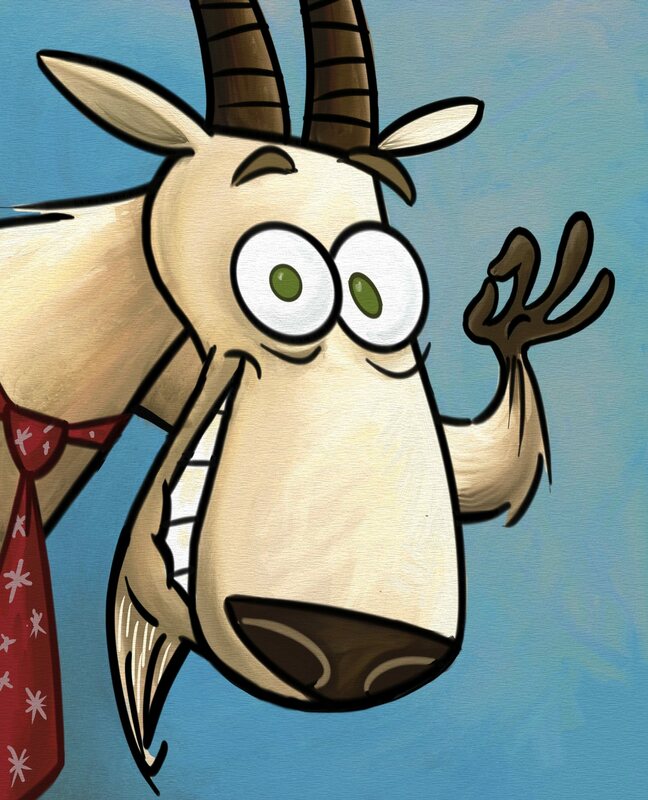 My name is Rob Boutilier, and in a previous life I was creator and co-director of ‘Kid vs Kat’ on Disny XD… I currently spend my time watching episodes of ‘The View’ while doing freelance storyboard work. I washed dishes in a lobster restaurant back in Nova Scotia. A co-worker used to drink copious amounts of wine from the walk-in cooler, and nobody knew how drunk he was until he pulled a scalding hot casserole from the oven with his bare hands. I’m proudest of ‘Kid vs Kat’, as it was an incredible experience to direct something of my own creation, even if I wish I could go back and do some things differently. I probably had the most fun storyboarding on ‘Pucca’, directing on ‘Aaagh! It’s the Mr. Hell Show’, and I learned a lot by continually screwing up on ‘Ed, Edd n Eddy’. When I was young, all I wanted to be was the next Charles Schulz. I wanted to have a daily comic published in newspapers around the world and never even thought of entering animation until I was in college. I knew I wanted to draw for a living and at the time I thought animation would be an interesting thing to do for a few years… 15 years later I’m glad I made the choice that I did. I’m from Boutilier’s Point, Nova Scotia, and moved to Vancouver, British Columbia to study animation at Vancouver Film School. I was fortunate to be hired as an animator directly out of school, but at an unfortunate time as animation work in Vancouver was hitting a bad slump. I switched to storyboarding and started on ‘Ed, Edd n Eddy’ soon afterward. Now that I’m doing freelance storyboard work, my day is a lot more relaxed than when I was directing. A typical day involves me getting to my desk around 8 am and drawing until my wife comes home around 5pm. If I feel I haven’t drawn enough panels in that time, I’ll put in a few more hours later in the evening. My schedule will vary, depending on whether I’m ahead or behind. I’m able to work at home, which means I can literally roll out of bed and go to work, pants or no pants. If it’s a long contract, the lack of social interaction while working at home can really get to you – and I’ve discovered that the Oprah Winfrey Network is a poor substitute for it. The politics of the business and the accompanying egos, on both the studio and broadcaster sides of it. I won’t go into any more details than that. I made the switch to digital storyboarding in the last couple of years, so I use a cintiq 12WX for that. It’s small enough to fit on top of my traditional animation disc, so I can still at my desk and pretend I haven’t embraced technology. I’ve been primarily using Sketchbook, but I’d like to take Storyboard Pro out for a test drive soon. 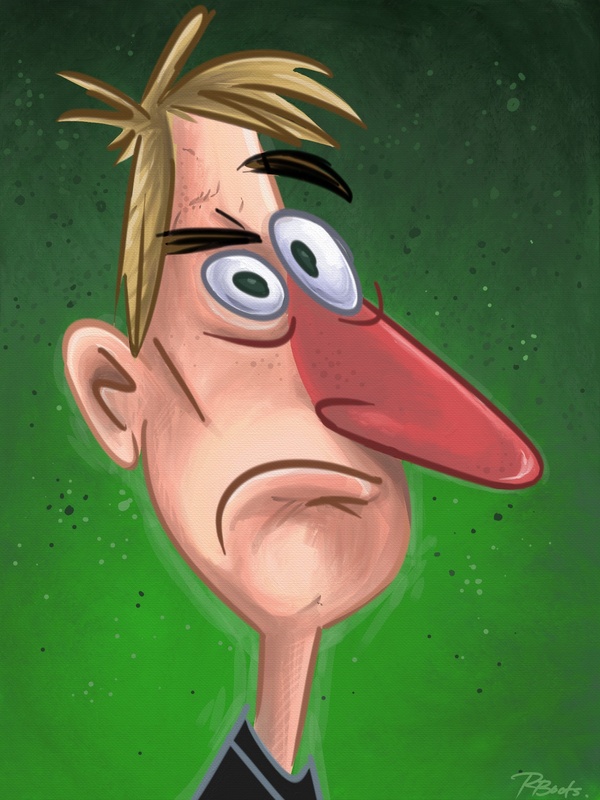 I also enjoy slopping digital paint around in Art Rage when I can. I guess everybody would have a different opinion on who an animation great would be, but for me it would include Marv Newland, of ‘Bambi meets Godzilla’ fame. His films take full advantage of animation as a medium, with a style unmistakably his own. Have you seen his last film, ‘POSTALOLIO’? All of the drawings were hand painted onto postcards, so that every frame of animation went through the international post before it was shot on film. Such a great idea! I’ve been fortunate enough to bump into Marv at various stages of my career, and every encounter leaves me wanting to do more creatively. This is more of a tough career situation: during the second season of ‘Ed Edd n Eddy’ I had reached a point where I was second-guessing everything, and I literally came to a standstill with the realization that I no longer enjoyed drawing. I didn’t know what to do except take some time off from the series to regroup. I ended up finishing the second season, but it wasn’t long into the third that I came to the sad conclusion that it wasn’t that I didn’t enjoy drawing – it was that I didn’t enjoy drawing those characters. Not the most positive time when I look back on it, but I can’t deny that I learned a lot more about animation and storyboarding on that series than I ever did at school. I’m working on a couple of series pitches with KvK season two story-editor, Dale Schott, and I have another on my own. Only time will tell if anything becomes of them, but I’m debating turning one of them into a web comic. Both my thumbs are double jointed (discovered when an older brother tried to bend them back to torture me), and I can move my right arm so it looks like it’s bent backward at the elbow. Both talents are good distractions at a boring production meeting. Speaking as someone working in television, I think it’s important that artists educate themselves about the business side of animation. Not to be too cynical about it, but for as much as broadcasters and studios need artists for the content that makes them money, not a lot of things are built in the artist’s favor. I’ve seen a lot of fresh-faced students become discouraged by the average production schedule that’s more concerned about quantity than quality. The more you educate yourself about the business side of animation, the better you’ll be able to navigate through it, protect yourself from it, and also make things work in your favor. And THAT is why I’m not a motivational speaker. Tagged Art Rage, Comic, Sketchbook Pro, Storyboard Pro, Storyboarding, Wacom Cintiq. Dont edit season 2 of kvk it was GREAT!!! But instead make a season 3! All KVK lovers crave season 3 and its all i want for christmas. SO GOOOO KVK AND YOU ARE GREATER THAN THE PRESIDENT AND EVERYONE I KNOW (exept my family exept for aunt dorris she can go to hell) IF YOU MAKE A SEASON 3!!! 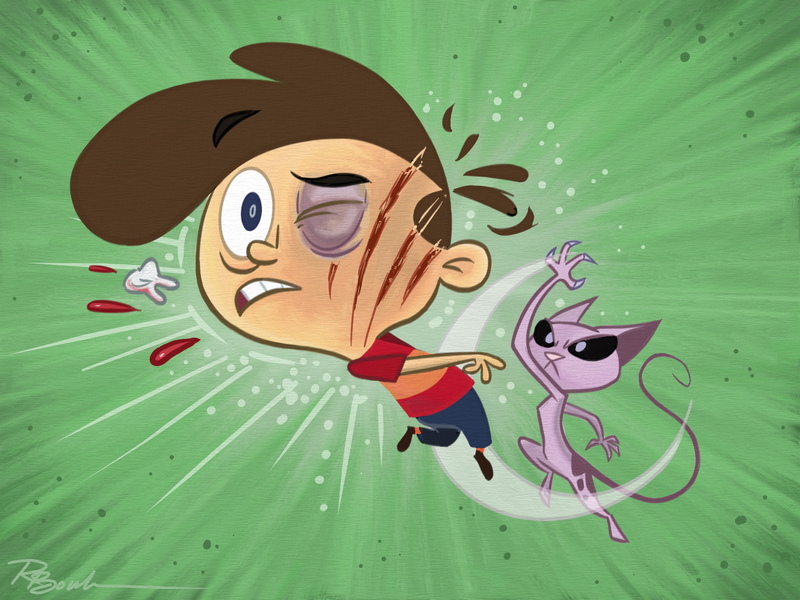 I’m a fan of Kid vs. Kat and I think this series is the best I’ve seen in my life and hope you have a third season and the series has more action in other series. I think he will do well if you do that. I’m a Biggest Fan of Kid vs Kat,this series is awesome, now i have a great collection of all episodes and shorts of the series, i can draw all characters of Kid vs Kat, like others fans i want a third season for Kid vs Kat. you know mr. rob can always continue the series but my question is when,,its 5 years,c’mon rob pls make a season 3..you have no idea how many people are waiting in the world in 5 years ,it’s already 2014 pls. and the season 2 finale of kvk is set up perfectly for season 3,because it’s like they have to start all over again…pls..
pooh yes having a kid vs kat 3 season would be awesome! pls is the best tv show ever so pls! I’m not the only one who want another season you should do it IM in love with your show my life was nothing before of it so pleassseeeee! I love mr kat <3 pls pls pls pls pls pls if you do a 3 season you can have my soul my magic pencil and a bowl of chicken huh what do you say its a deal? u forgot to ask him something rob why are you soooooo awesomeeeee!